OK, I think that everyone knows that I LOVE to cook. My blogs name alone represents my love for food! I love shopping and I love cooking ~ Period! So, when the creator of Dish Dish came to me about reviewing her Dish Dish Concierge Service I could not say no! Gather Your recipes: Can't find that favorite roll recipe stuffed in your drawer? Digitize and organize recipes online in your own digital cookbook. Access from Anywhere: Our digital cookbook app lets you save recipes and find them easily wherever you are - at work, in the kitchen, on the road, or at the store. Share with friends: Share your online cookbook full of digitized recipes with family and friends. Start Now: Do all of this and more with your FREE Dish Dish account today! 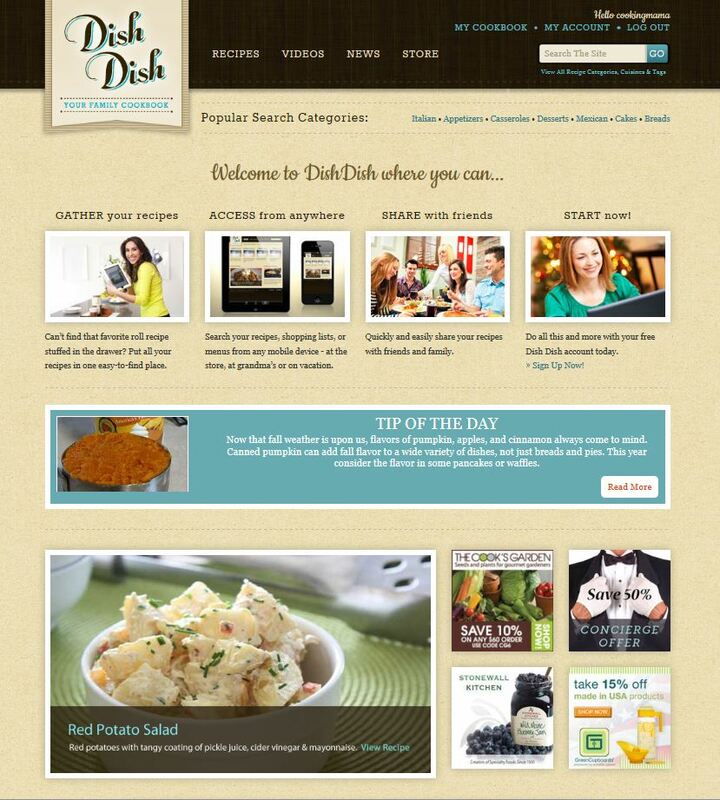 Check out my Dish Dish Page Today! 1 lucky winner can receive a 1 year Pro Membership at Dish Dish Concierge Service, PLUS a fabulous Bamboo cutting board! About the prize: One winner will receive the Dish Dish Concierge offer with bamboo cutting board (ARV $49.00). With the Dish Dish Concierge Offer members get the Pro Account features and Dish Dish will add 30 recipes to your account for you! Dish Dish also offers an eco-friendly bamboo cutting board! The winner of the giveaway will receive both the Dish Dish Concierge Offer and the bamboo cutting board! This giveaway will end at 12:00 AM (EST) 9/18/2014. Deliciously Savvy did not receive any form of compensation for this giveaway. Once winner is selected via the Rafflecopter process, the product will be shipped. Winner has 48 hours to respond or another winner will be chosen. No other blog associated with this giveaway is responsible for the product shipment. Dish Dish has provided the prize and will be sending to the winner. Thank You for stopping by! I love that you can share your recipes with your friends. The recipes look great and I like that I can share them easily with my friends.